Paper Towns is a novel about a young boy called Quentin (known as Q) who is a perfectly average human being who has been in love with the perfectly extraordinary Margo Roth Spiegelman for the majority of his life. Used to admiring her from afar, Q is surprised when Margo asks him to accompany her on a road trip in the middle of the night. After this adventure, the following day, Margo is missing. Margo has run away before, leaving surreptitious clues – except this time the clues have been left for Q. Now on a mission, Q begins the difficult challenge of solving the mystery that is Margo Roth Spiegelman. After reading the renowned The Fault in our Stars (TFIOS), I fell in love John Green’s style of writing and his ability to write from the perspective of characters so much younger than himself. He connects with a young audience in a way that is neither patronising or derogatory. 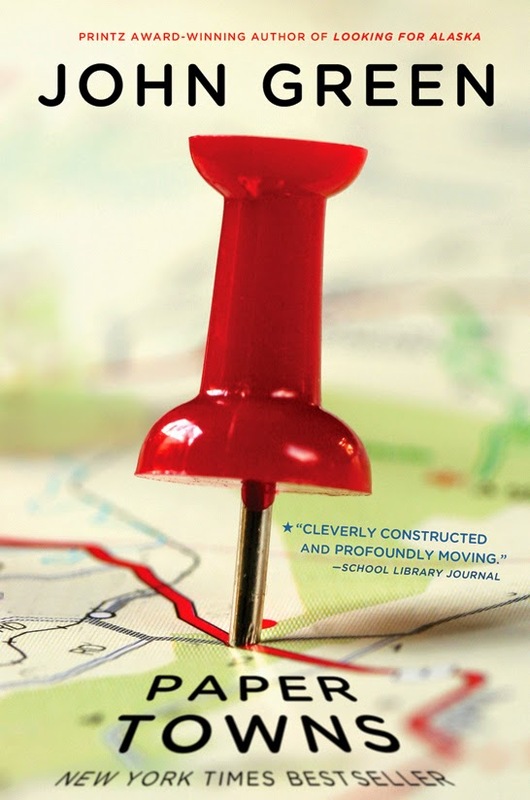 I have been eager to read more of his work and thought I’d read Paper Towns because the movie is coming out later in the year, and I always read the book before I see the movie. The humour is the pinnacle of this book. While at some points I lost interest in the storyline and struggled to keep connected with Margo, the humour is extremely relatable and genuinely laugh-out-loud funny – something rarely achievable in novels. I was a little disappointed for the simple reason that I was expecting another TFIOS, which Paper Towns certainly is not. This novel would have been more enjoyable had I read it before TFIOS, however, that aside, Green’s style is really something unique and admirable. Furthermore his use of literary references (such as Walt Whitman) give the book a deeper dimension, while cultural references (such as IMing, Omnictionary and the general angst surrounding high school) make the book more relatable to a younger audience – something they would not find in older novels. What’s Wrong With A Good Old Book?